A lot of people class this as sci-fi and I can see their point, but I think of it as horror and absolutely love it. John Carpenter didn't so much remake "The Thing From Another World" (1951) here but completely reinvented it as a practical effects laden gorefest. The alien creature effects truly are the star of the show but there's still the tension and paranoia of the original. 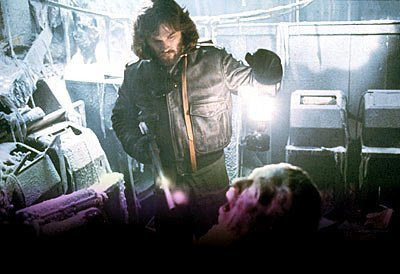 I first heard about "The Thing" while listening to trailers for it on the radio. I could only imagine what it looked like because I was too young to see it at the cinema but a couple of years later it was on TV completely uncensored (because British TV is always good like that) and it was exactly as I expected it to be. 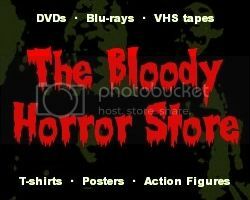 When VHS came along it was one of the first I bought. I've watched "The Thing" more times than just about any other movie in my collection especially since getting the "Collector's Edition" on DVD. There's just something about being trapped in a hostile, snowy environment with a shape-changing alien who could be anybody (or anything) that ticks every box in the "survival horror" category for me. I'm not ashamed to admit that I'm really looking forward to this year's "premake" so I'm definitely including "The Thing" in my Hallowe'en countdown.